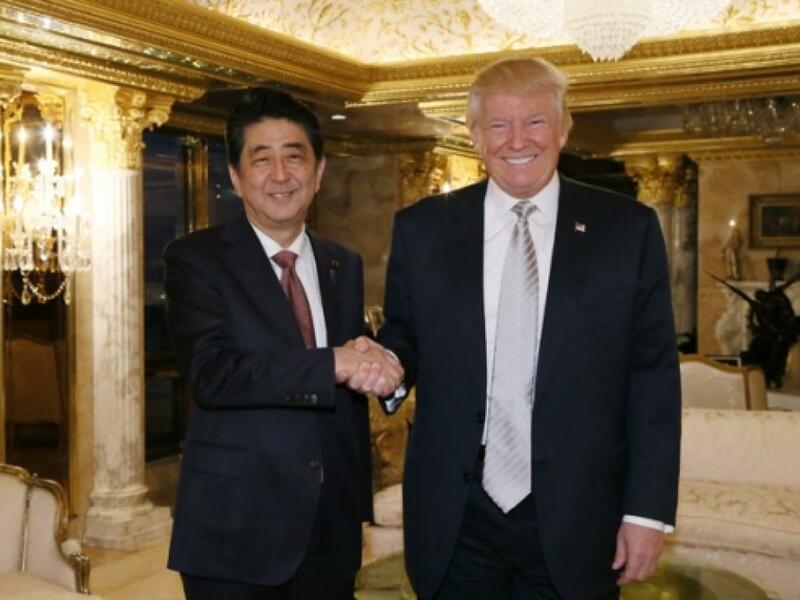 Japan's prime minister Shinzo Abe recently met with U.S. President-elect Donald Trump, and the Japanese government described the discussion as marking an "extremely good start" between the two leaders. 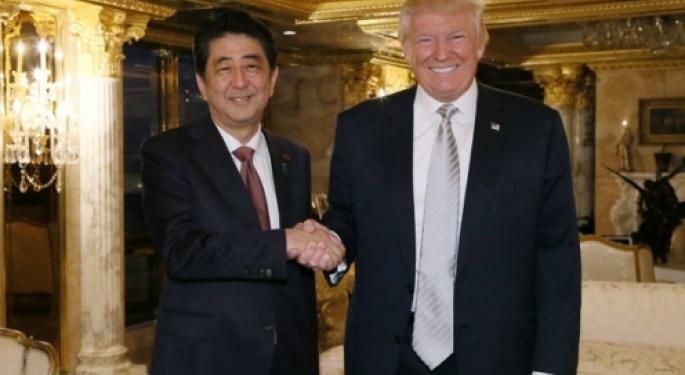 Mouhammed Choukeir, the chief investment officer of Kleinwort Hambros, told Bloomberg TV that Abe should be happy about his recent trip to the United States and meeting with Trump, since the president-elect helped boost the U.S. dollar, which indirectly keeps the Japanese yen low. As such, this could provide Japan with the necessary "shot in the arm" the economy needs. Bloomberg's Matt Miller also noted that Trump is giving a similar "shot in the arm" for Europe's economy. However, Choukeir jumped in and pointed out that the uncertainty surrounding the U.S. election is over, but now Europe will face similar election uncertainties as people across Germany, Italy, France and Netherlands will head to the polls. Choukeir also discussed the drastic reversals in the Chinese yuan, which has given up all of its gains of the past eight years. The foreign exchange expert noted that China's currency is very controlled, and when Trump says China is a currency manipulator this statement is very accurate. Choukeir further noted that Trump's administration doesn't need to target China's currency directly and can focus on tariffs to combat China's currency manipulation.